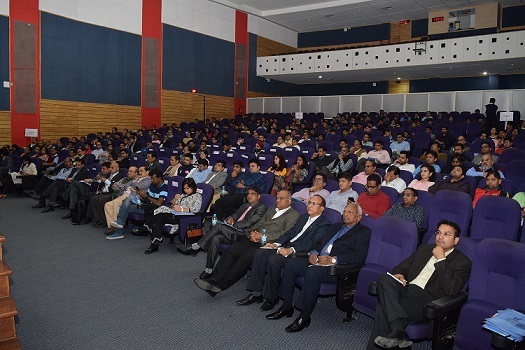 IIM Indore campus witnessed presence of a large number of industrialists, entrepreneurs and students on Wednesday, December 13, 2017—the special occasion, being an opportunity to meet Mr. Sanjeev Sinha, listen to his inspirational success story and learn how to get funding from Japan for startups. IIM Indore in collaboration with TiE Madhya Pradesh had invited Mr. Sanjeev Sinha for an interactive session on the topic—‘ Low Cost Funding From Japan—The Opportunities and the Challenges’. The event also had TiE Madhya Pradesh members along with various delegates. 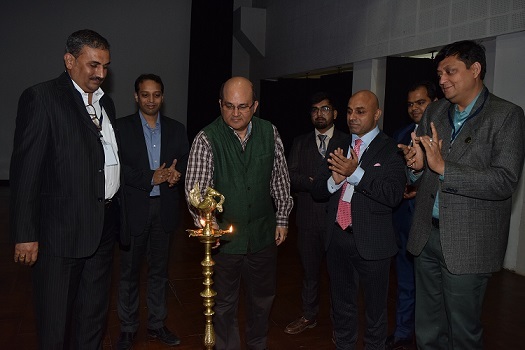 The event began with a lamp lighting ceremony, followed by a welcome address by Professor Rishikesha T. Krishnan, Director, IIM Indore. 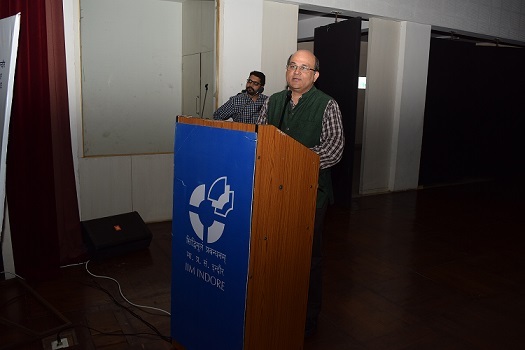 He said that the launching of TiE Chapter in Indore would be a milestone for the city—to help the established entrepreneurs bond with budding entrepreneurs and provide a platform for ideas to float and idealize. He then welcomed the guests, industrialists and the participants to the event and noted that the event would provide them an opportunity to learn more about jobs and opportunities in Japan. 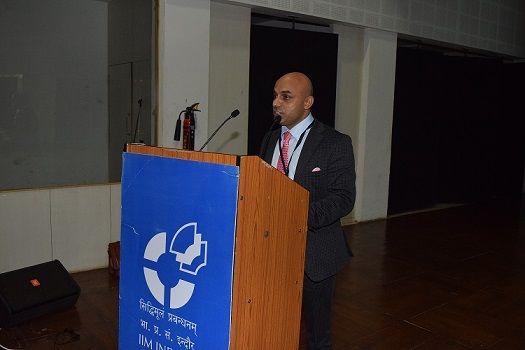 This was then followed by an address by Dr. Sandeep Kadwe, President, TiE. Discussing about TiE and how it started, Mr. Kadwe said that the objective of this organization is to bring about a big change in the entrepreneurship sector wherein entrepreneurs help other entrepreneurs. He also said that Madhya Pradesh, especially Indore has been growing in technology, education, government, non-government, healthcare, IT and other sectors. With IIM and IIT both in the same city, this provides an opportunity for advancement in entrepreneurship with proper networking, innovation, incubation and funding. 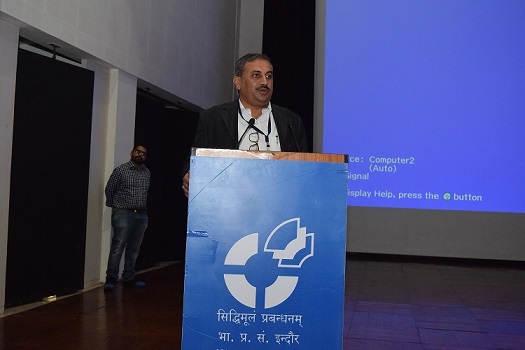 Mr. Sanjeev Sinha then addressed the gathering full of young entrepreneurs, eminent industrialists, delegates and students. He began his talk sharing his last 20 years in Japan and how the country has changed in so many years. ‘Earlier Japan had just 5000 Indians, which now increased to 30,000. However, this population is still less as compared to USA—and that’s the reason which keeps us a bit distant from Japan, i.e. lack of proper networking’, he said. Discussing about Indore and the facilities available in the city, Mr. Sinha said that with proper human resources, financial stability and growth, Indore can be a hub for more industries—even the AI sector. He then went on to discuss about how India and Japan should collaborate and work together. ‘Japan’s vision is to realise the huge untapped bilateral potential by combining abundant long term and low cost capital and the environment friendly and safe technology with the growth potential and global prowess of India. Decision making process is much rigid in Japan and the country thinks of long term perspective, while India can utilize that in an efficient manner, since the decision making process here is dynamic’, he said. Mr. Sinha while discussing about India-Japan partnership mentioned that India has growth and human resource available globally; and Japan has technology and capital which India is looking for. Also, Japanese policy makers are keen to provide funding in India as the scenario is changing; and Japanese companies are aggressively pushing more of their companies in India via funding. He then also talked about how can entrepreneurs and businesses from Indore capture funding from Japan. ‘We need to build a holistic framework. The Japanese would be happy to come and train our human resources but they need a platform for that purpose—in the form of institutions, firms, startups, etc. ; and with institutions like IIT and IIM, that too in the same city like Indore, we can get skilled, educated and talented youth as well. We have high interest rates and sufficient capital, so we need to collaborate with Japan where they have low rates and long term perspectives’, he said. A long term vision and a good quality of plan along with good presentation to attract the funding will be beneficial for India while working with Japan, he concluded. 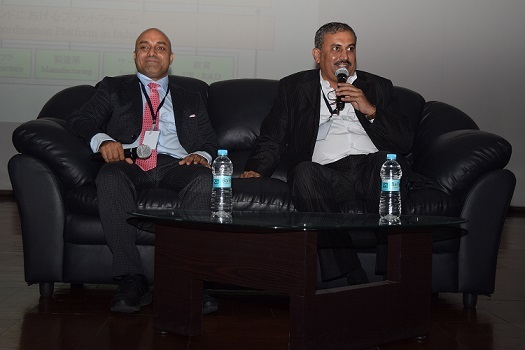 The event concluded with a Q&A session where Mr. Sinha talked about various topics ranging from bullet trains, funding, business in Japan and entrepreneurship in India. Overall, the event was a huge success, appreciated by all the industrialists and visitors; who found it informative and fruitful.